CETC Solar Energy is comprised of three manufacturing sites. Combined, it covers the entire solar energy manufacturing chain, from raw silicon to complete solar electric systems. Very few solar electric companies in the world can make the claim of being a fully integrated manufacturer. Most have to rely on outside sources of supply for wafers, cells, laminates, or solar panels. A company who is fully integrated, such as CETC Solar Energy, has full control over the manufacturing of their product, from beginning to end. It is complete ownership of the product, in strictly controlled manufacturing environments, that ensures our customers will receive quality products which will produce clean energy for decades. CETC Solar Energy is taking a giant step into the future with one subsidiary at its headquarter. Since 2008 CETC Solar Energy has been supporting the subsidiary Hunan Red Solar Photoelectricity Science and Technology Co., Ltd. The company is setting up industrial production for the recovery of solar silicon from silane, and it also handles the development and construction of a production plant for the manufacture of solar silicon of high purity based on metallurgical silicon. Parallel to its own raw material activities, the concern also depends on traditional long-term partnerships with reliable external suppliers. In this manner, it has been possible for CETC Solar Energy, despite world-wide scarce capacities of silicon manufacture in the past, to ensure supplies of the raw material even in the future. The CETC Solar Energy subsidiary Hunan Red Solar Photoelectricity Science and Technology Co., Ltd. is one of the largest manufacturers of solar silicon wafers in China. A wide range of mono-crystalline and multi-crystalline solar wafers is manufactured at the plant to meet customer-specific requirements. Most of the wafers are further processed to make solar cells for standard products - not only within the company but also by a large number of customers nationwide. Wafers are also suitable as the input material for specialized applications. The know-how that is used here builds the foundation for the technological market leadership of CETC Solar Energy in China. The business division "Cells" that has been attached to the subsidiaries Beijing Zhongkexin Electronics Equipment Co., Ltd., Hunan Red Solar New Energy Science and Technology Co., Ltd., and Hunan Red Solar Photoelectricity Science and Technology Co., Ltd. produces solar cells from the preliminary product solar silicon wafer. The cells have all the required technical characteristics to generate electricity from sunlight. 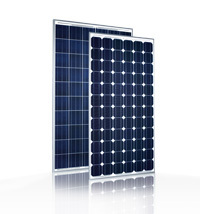 The company produces both mono-crystalline and multi-crystalline solar cells. Recently, one of our subsidiaries Hunan Red Solar Photoelectricity Science and Technology Co., Ltd. is capable of producing high quality PERC solar cells. In the business division "Modules" solar cells are made into larger units - the modules - by putting them together, framing them and encapsulating them in weatherproof manner. The solar energy modules are the solar end products, ready for the generation of power and feeding it into the mains and / or for direct supply to consumers. The module manufacture is undertaken at the subsidiaries Beijing Zhongkexin Electronics Equipment Co., Ltd., Hunan Red Solar New Energy Science and Technology Co., Ltd., and Hunan Red Solar Photoelectricity Science and Technology Co., Ltd. 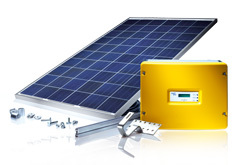 The company manufactures modules for power applications that comply with the three centralized and worldwide applicable standards IEC 61215, UL 1703 and the Safety Class II for solar power modules connected to the mains supply. What are the components required to generate electrical power directly on the rooftop? 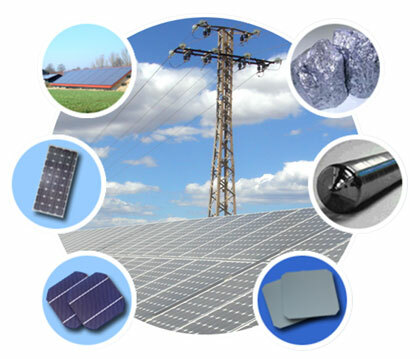 CETC Solar Energy has supplied kits many years ago. These PV complete systems have all that the electrician requires for his customers - modules, inverter and racks. In addition to this, suitable bolts and nuts. Even wiring and mounting diagrams are a part of the system. These kits are made of high-quality materials and have been conceived and designed for use in various countries. The alternative to the kit is the solar roof. In this case the photovoltaic plant replaces the rooftop cover. Instead of a conventional cover the roof is fitted with solar laminates and delivers clean energy from the sun. Whether a new construction or renovation: The solar rooftop can be integrated as a complete roof or as an in-roof solution. CETC Solar Energy has developed solar power plants for large open areas. The panels that are made up of many modules, track the sun like a sunflower - and thus have a higher energy output than the conventional, fixed systems.